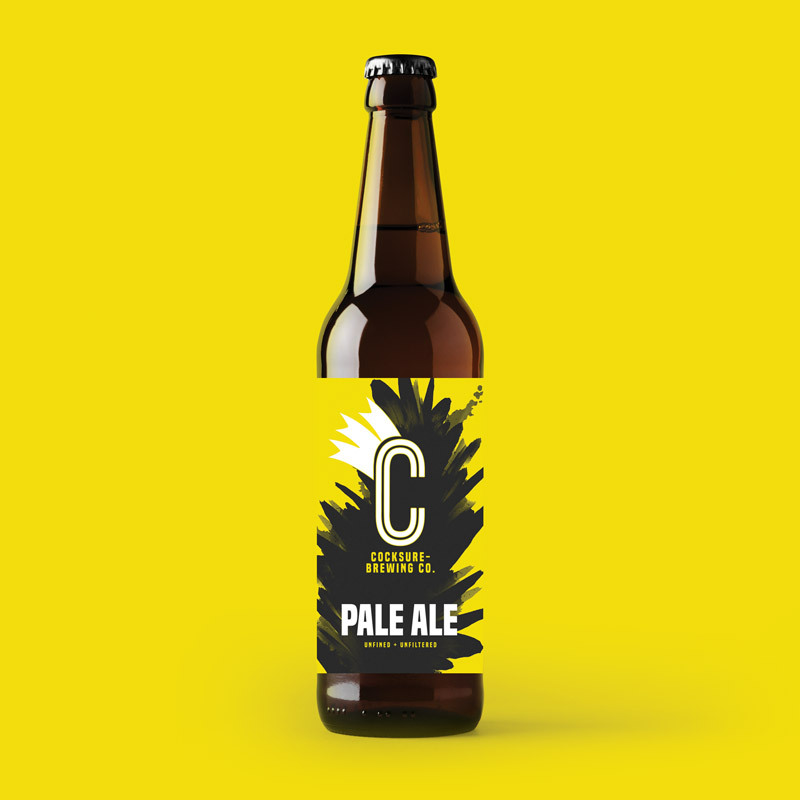 A PALE ALE DESIGNED TO BE CLEAN, CRISP AND REFRESHING. THIS COULD BE YOUR FIRST STEP INTO CRAFT BEER, OR YOU COULD BE AN AVID LAGER DRINKER, OR GENERaLLY A PALE ALE FAN, THEN THIS SHOULD BE FOR YOU. IN USING MOSAIC, CASCADE US HOPS WITH a DASH OF WILLIAMETTE, YOU SHOULD GET CITRUS AND STONE FRUIT NOTES. This is sure to get all your senses excited. Tropical aromas of watermelon, pear and blueberries have been crafted with hefty late and dry hop additions of punchy American hops, including Mosaic and El Dorado. Combined with a well-balanced grain bill to give the beer an added texture and golden colour, it’s your new favourite. Bringing you our own take on a traditional beer. A delicate platform from the malt bill provides sweetness and richness, which is accompanied with new world hops to give a citrus, piney and spicy aroma. All of this combined provides a beer which is well rounded, drinkable and with enough flavour to keep you interested, especially during a Sunday session. An IPA as it should be…High ABV, bitterness and aroma. But we want to make it drinkable, not like chewing a wasp. So we have curated a beer which has enough bite you know it’s there, and packed it with big, juicy, American hops. The aroma lures you in, the malt balances, and the flavour finishes it off with a dryness to perfection. What this means is… you need to go back for another sip. It’s bright, black and it’s bold. The malt bill includes Maris Otter, Dark Crystal and Chocolate, along with rolled oats to add mouthfeel and head retention. It’s then hyped up with 5kg of fresh cold brew coffee which is added during the warm maturation. The coffee aromas come alive to then let you enjoy the smooth, rich and chocolatey taste. This unique medium bodied Pale Ale is a winner. Made with real Mangoes (or Mangos if you prefer) and oranges added straight to the boil, this ale has a sweet, fragrant hoppy nose, followed by an enjoyable bitter citrus bite in the finish. You really smell, taste and feel the mango from beginning to end, paired with a juicy orange punch to round off the flavour. One sip and you’ll be ready for summer - African sunshine in a bottle. A truly African-inspired Golden Ale, characterised by the distinct tart-cranberry taste of the dried Hibiscus leaf, and hopped with the seven c’s from the Pacific Northwest - Cascade, Centennial, Chinook, Citra, Cluster, Columbus and Crystal. These give a great rounded bittering in the boil, perfectly complementing both the Hibiscus and the pure forest honey - raw and natural, sourced from the Zambezi River. Rich in taste, this ale leaves a slow-release, sweet finish to a powerful tart initial sip. A celebration of African nature. This stout has real depth. Pop the cap to get the robust aroma of rich chocolate and barley. Underneath this is a full-bodied, rich chocolate malt bill, with a complex range of specialities. Then taste - this is when the fruit really hits home - a juicy sweetness followed by a tart zing from the blackberries, raspberries and gooseberries - rounding out to a luscious mocha, and a medium dry finish. An authentic African adventure.